It took all 82 regular season games to determine not only the playoff seeding, but also the participants. Sorry New York Rangers fans. The Caps have to feeling at least a bit unlucky. Montreal is one of the very few teams that does not have a losing record against Washington, as they split the season series. The task of facing Jaroslav Halak is also not a welcome one for Ovechkin and Co., as he proved he can literally steal games against world-class talent in the Olympics. Nevertheless an upset here would be monumental. The only match up worse than the Habs, would have been Ottawa. Therefore, Commissioner Bettman and NBC will not be the only ones hoping that the Senators don't best Pittsburgh in round one! Regardless of the outcome, this series is guaranteed to be the ugliest of the first round. New Jersey earned the second seed with a victory over Buffalo. They also earned facing off with a team that has kicked their backsides all season long. The Flyers didn't win the season series with the Devils, they dominated it. The Flyers may not have top level goaltending, but the Devils have not made it out of the first round in quite some time. Pun intended: The Devils are in one hell of a situation here! 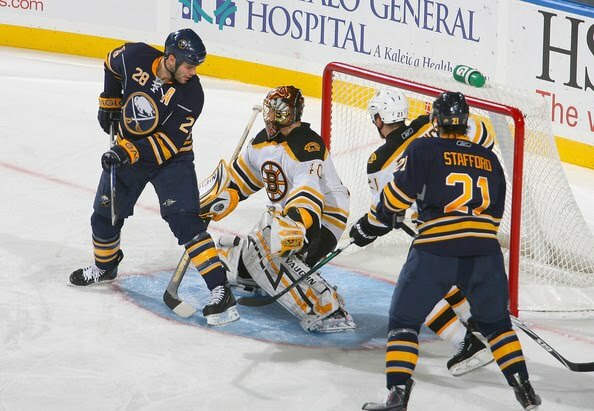 The Sabres cannot be thrilled to square off against their division rival. The two teams are near mirror images of one another. Both teams had offensive seasons that were, well... downright offensive. They both have blueline leaders that are mistaken for basketball players when off the ice; and both teams depend on their outstanding goaltenders to win games. Tuukka Rask will have to out duel Miller for the Bruins to win. The first year Boston net minder has been outstanding all season, but bettering Ryan Miller in a seven game series is a tall order, particularly when one considers that he doesn't have the help of a Jarome Iginla to dish to a Sidney Crosby for an OT winner like Canada did. Random tidbit for Bruins fans. The team that has won the Winter Classic has advanced to the Finals each year... and lost. The antithesis of the Buffalo/Boston series. Each one of the games between these two teams was won by scoring lots and lots of goals this season. This will be the third post-season meeting in four years between the Pens and Sens. This series may be a bit more "chippy" than many might expect with Ruutu, Neal, Cooke and Orpik taking liberties on one another. Yet, the team that wins this series will be the one who most often capitalizes on the other's mistakes. Ottawa beating Sid, Malkin, etc... would be an upset, but not a big one. 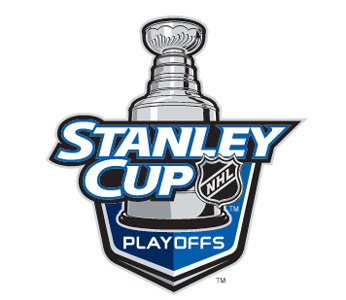 The scariest part of this series for San Jose will be their horrifying playoff past. 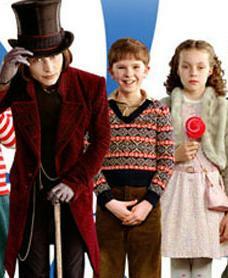 If the 2010 Playoffs were a chocolate factory, the Sharks would be Veruca Salt and the Avs, Charlie... just lucky to be there, no? With an average age slightly older than the Windsor Spitfires, Colorado was supposed to be in year one of a total rebuild, not making the post-season. Nevertheless, Craig Anderson may steal a game or two, therefore sending San Jose into a panic... anything could happen here. Would anyone out there be surprised if the Sharks were rocked in round one? In this case, there will be an upset no matter which team wins. 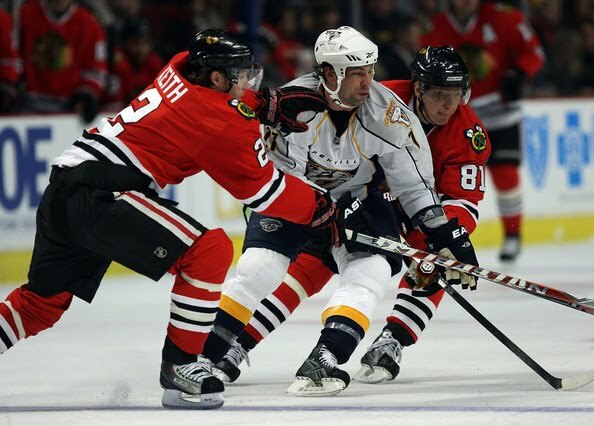 Chicago won the season series 4-2, but the two teams have not faced each other since December. The Hawks have the big names, the flash and pizazz, but the Predators have the advantage in goal. Pekka Rinne has had a stellar season, while questions have never gone away about either Chicago net minder. Both of these teams can score goals and have the capability of shutting down their opponents. The Blackhawks just have the ability to do it more consistently and are considerably more talented offensively. If the Predators could clone Martin Erat for this series they would win easily as he owns the Hawks, but alas, all they can do is double shift him. 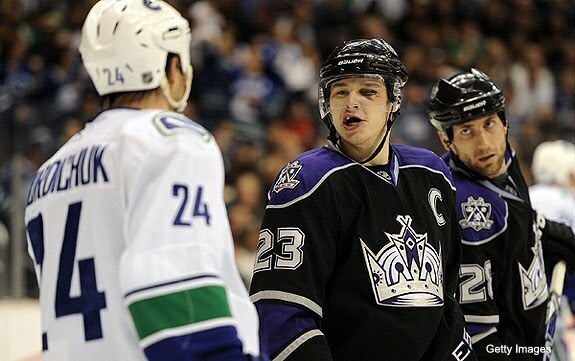 The Canucks won the season series, but the Kings hammered them 8-3 in a game just two weeks ago. This series may be pretty entertaining, as both team's toughest guys are also talented goal scorers. Ryan Smyth, Wayne Simmonds, Dustin Brown, Ryan Kessler and Alexandre Burrows all will just as soon punch in a rebound as they will your face. This matchup has two Olympic netminders, but they are loaded with talented skaters. Aside from the aforementioned Kessler and Burrows, Vancouver also boasts the Sedin twins (one of which won the Art Ross Trophy), Mikael Samuelsson, Mason Raymond and the most under publicized blueline in the game. L.A. in addition to Smyth, Simmonds and Brown can rely on Anze Kopitar, Alexander Frolov and a much more celebrated defensive corp that includes sure Norris Trophy candidate Drew Doughty, Jack Johnson and "The Piece" Rob Scuderi. All eyes should be on this series in the West. The Wings will be counted on to perform a mild upset of the Coyotes. Not because of a lack of respect for Phoenix, but rather because of how good Detroit has been since getting all their healthy bodies in the lineup. Detroit entered this season as a team that had just completed two consecutive Cup Final runs. Phoenix entered the season as a team that wasn't sure if they were going to play in the same city for two consecutive seasons. The Wings were devastated early on by injuries and it even appeared for a while that they may miss the post-season for the first time since hockey was invented! The Coyotes on the other hand, blocked out all of the things that they could not control and played some fantastic hockey from day one. Detroit features a ton of star power and a goalie that will be a factor in both the Calder and Vezina Trophy voting. Phoenix features a balanced team effort and a goalie that will also be in the conversation for a pair of trophies, the Vezina and Hart. No love for the Predators huh?